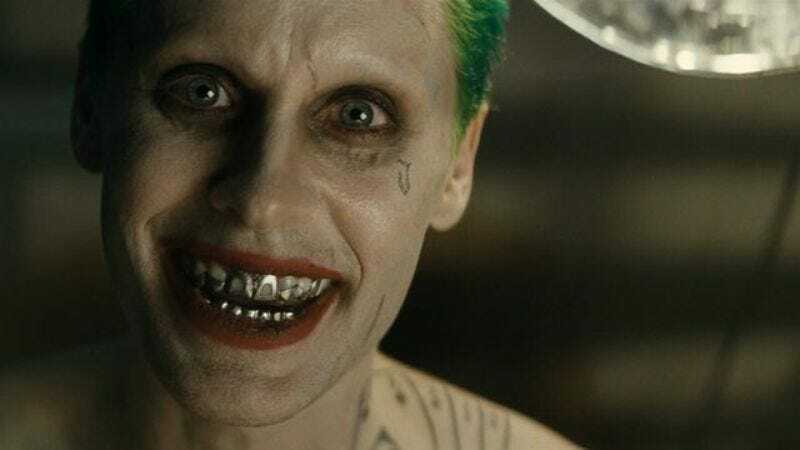 Shortly after Suicide Squad came out, Jared Leto got all down in the dumps about the fact that many of his scenes as the Joker were cut. He morbidly and annoyingly told IGN: “If I die any time soon. It’s pretty likely that it’ll surface somewhere. That’s the good news about the death of an actor.” Well, turns out Jared Leto’s still alive, and Warner Bros. Home Entertainment announced today that a Suicide Squad Extended Cut will arrive November 5 on Digital HD and Blu-Ray December 13. It will presumably feature a bunch of of previously unseen Joker material, perhaps once and for all settling the question of whether being disgusting in the name of acting was worth it. (Here’s a guess: probably not.) Back in August, The Hollywood Reporter wrote that there were “competing cuts” of the movie, and that director David Ayer had a “more somber” one up his sleeve. So this home release could be a real downer—one way or another.